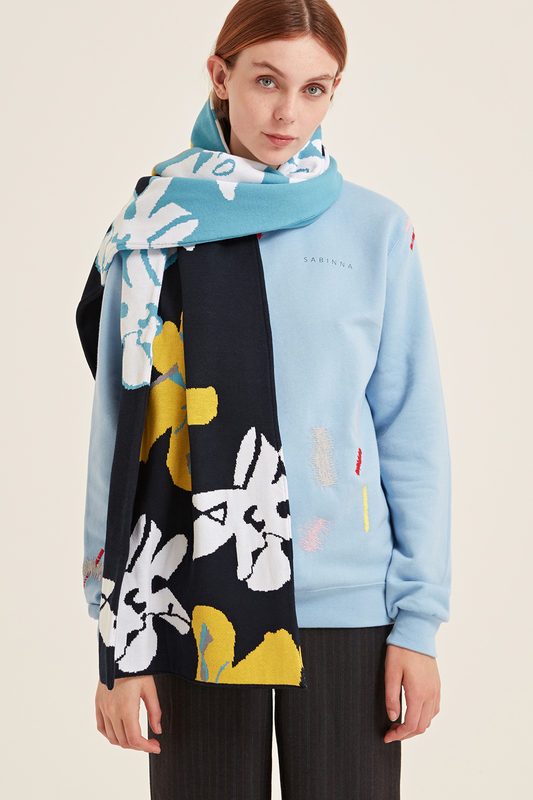 Abstract print flowers knitted blanket scarf. 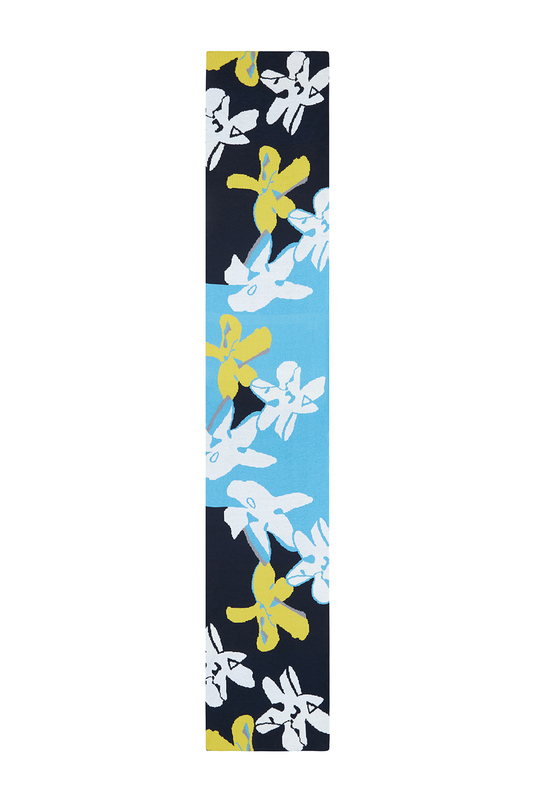 The scarf is very big and can transform every outfit into an eye-catching look within seconds. Developed and made in the UK.